Periodontal disease is the most common infectious disease in dogs and cats. As many as 80% of dogs and cats over two years of age have some form of periodontal disease. It is inflammation and infection in the mouth that leads to breakdown of the gingiva, the periodontal ligament and eventually the bone that holds the teeth in place. If left untreated, affected teeth may eventually be lost. Infection can also spread through the bloodstream to other organs. Without proper cleaning of the teeth and keeping the gums healthy, your pet could be harboring bacteria, which could be causing harm without you even knowing. Like any other health condition, one of the most powerful weapons an owner has against the progression of this disease is awareness. Remaining diligent and recognizing changes in the appearance of your pet's teeth can go a long way toward preventing more serious problems. Plaque is the primary cause of periodontal disease due to it's large bacterial component. Plaque forms within hours after cleaning teeth. Left unchecked, plaque can soon cover the entire tooth surface. Regular brushing and certain dental diets can help with plaque removal. Calculus (Tartar) is mineralized plaque. It is deposited on the teeth in layers. Chewing action may remove some tartar, but most remains until professionally scaled off in a dental cleaning. Tartar is characterized by a yellowing of the teeth and is often accomplished by bad breath. With gingivitis, the gums become inflammed. You may notice reddening, swelling and bleeding of the gums as well as bad breath. At this stage, the damage is usually reversible, but can lead to more serious consequences if allowed to progress. If gingivitis is left untreated, the inflammation will progress to periodontits. At this stage, the inflammation extends into the deeper connective tissue surrounding the teeth and can result in bone loss. The teeth become loose, painful and eventually fall out or need to be pulled. It can become uncomfortable for pets to eat; so poor nutrition also becomes a concern. For every complete physical examination, our patients will get a dental grade based on a grading scale of 0 to grade 4. 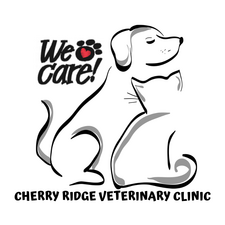 We recommend a professional dental cleaning and evaluation under anesthesia for any pet receiving a grade 2 or higher. Grade 0 - No plaque or gingivitis present. Young, healthy dogs and cats between 6 and 12 months of age are often grade 0. Grade 1 - mild dental calculus which covers less than 25% of the tooth surfaces, with no obvious gingivitis or mild gingivitis present. This grade is often reversible with brushing and appropriate chewing. Grade 2 - mild to moderate calculus and gingivitis are present on multiple teeth. The calculus covers 25-50% of the tooth surfaces. Gingivitis is usually reversible after professional scaling and polishing. Grade 3 - Dental calculus that covers more than 50% of the tooth surfaces with moderate to severe gingivitis. 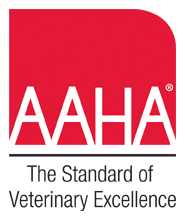 Dental's that have Grade 2 or higher will require more anesthetic time, more advanced periodontal and dental treatments, more veterinary time, pain control, antibiotics to go home, and dental radiographs. Home Dental Care Recommendations - Brushing teeth daily with pet toothpaste, oral rinse/wipes daily with CET solution, tartar control treats, greenies, and dental diets. Lack of education about the importance of good oral health and how it affects the whole body.